Antique - Myott, Son & Co. - "Beautiful "Bermuda Brown Chintz" Pattern. Manufactured in the 1930's. Appears to be a Good Quality Ironstone. 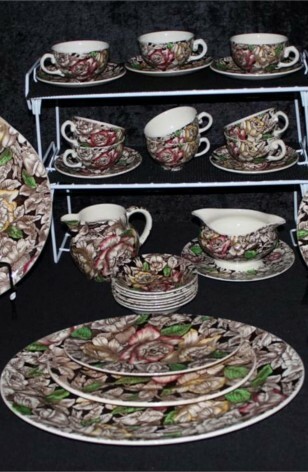 The absolutely gorgeous Pattern is of Red and Yellow Roses, Hand Colored, on a Brown Background White and Green Leaves are also abundant. Few items in this Pattern are ever found on the market. 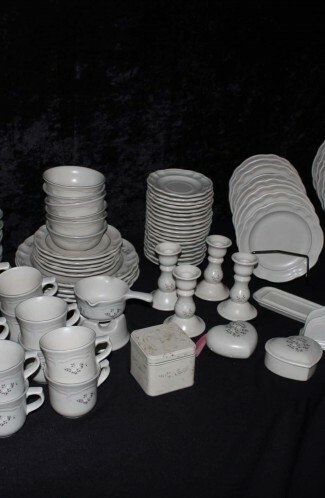 We are offering (42) pieces of this wonderful set, including many Serving Pieces as well.. 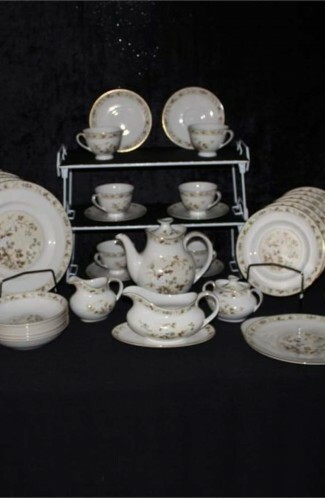 Antique - Myott, Son & Co. - Beautiful "Bermuda Brown Chintz" Pattern. Manufactured in the 1930's. 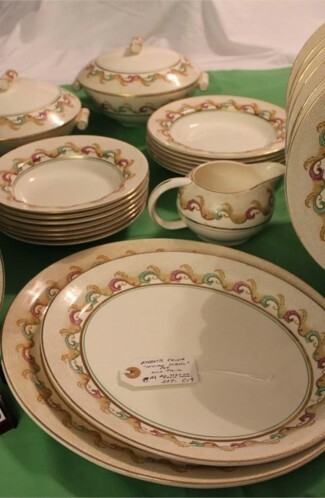 Appears to be a Good Quality Ironstone. 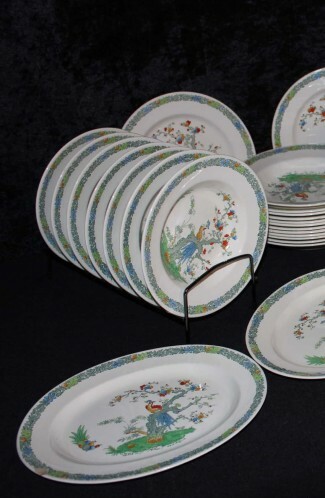 5 - Saucers - 5"
7 - Fruit/Sauce Bowls - 5"
6 - Salad Plates - 9"
7 - Dinner Plates - 11 1/4"